AMSAT Phase 4-A is the first geostationary amateur radio transponder which is placed on Es'hail-2 communication satellite (launched aboard a SpaceX Falcon 9 rocket on November 15, 2018). 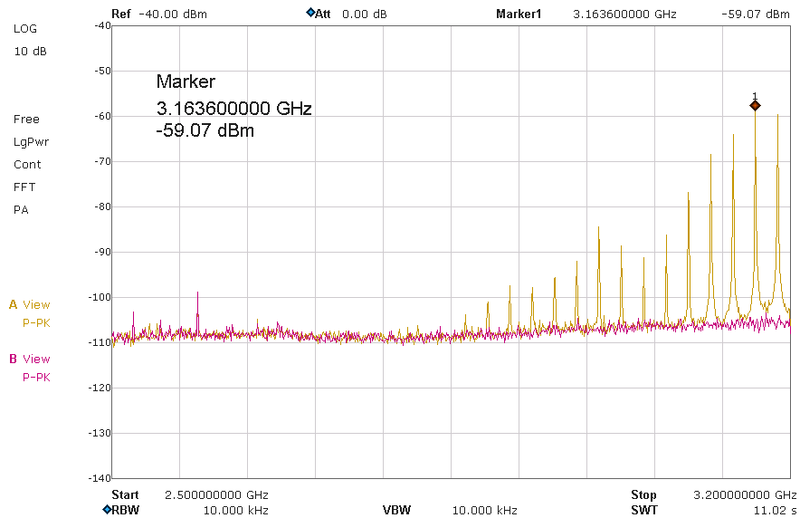 The uplink is on 2.4 GHz (S band) and downlink on 10.5 GHz (X band). 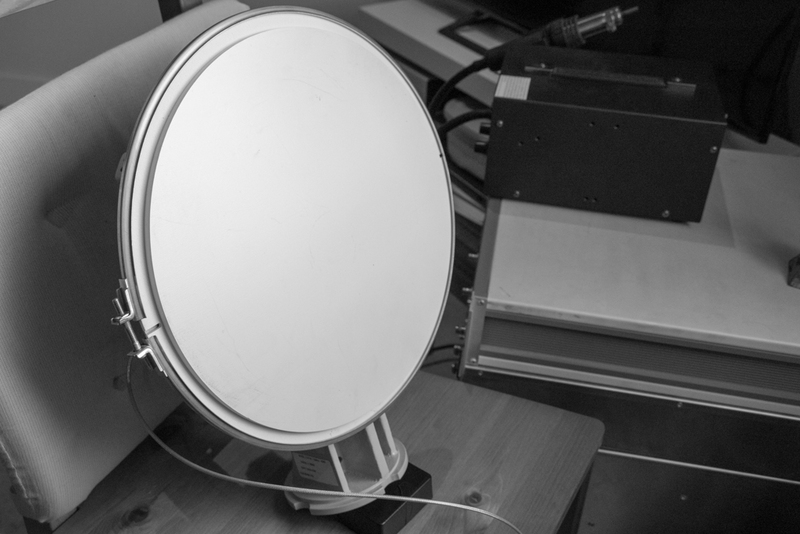 I received the signals using a downconverter from a LNB and a small parabolic antenna (30cm) placed on a chair pointing to the satellite through an open window. As the downconverter had a free-running oscillator without any temperature stabilization, you can hear that the receiving tone is not stable. Using a disciplined oscillator will be the next step. The record of the Beacon can be found here. 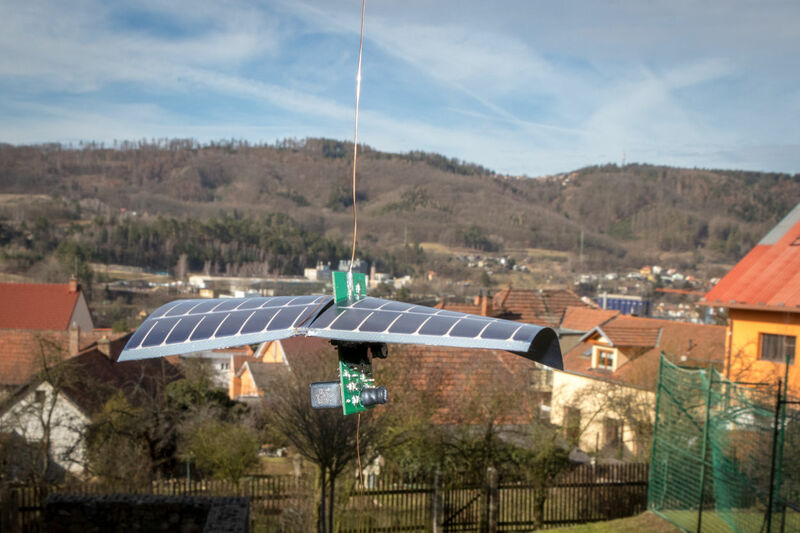 PicoBalloon Chalenge 2019 was held in Brno on Monday, 4th March and was organised by SOSA - Slovak organisation for space activities and Brno Observatory and Planetarium in cooperation with S.A.B. Aerospace and Czechinvest. I noticed this competiton in January 2019 but my idea was to visit the observatory to see the teams and their radiosondes. My friend Vlada (OK1FET) sent me a message three weeks before the event that we could join the competition as he tried radiosondes in the past. We discussed the details a bit more but I found that Vlada had his radiosonde nearly prepared, so I decided to build my own radiosonde as well. 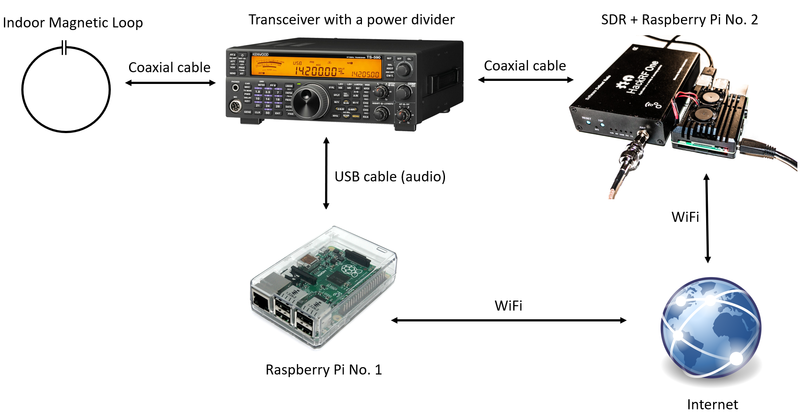 The idea was to trasmitt a morse signal (CW) on short waves once per 10 minutes and to use RBN (reverse beacons) for detection and monitoring. Even though the idea was simple, it was quite challenging to get everything done on time. My radiosonde contained two switchable oscillators that worked at 7MHz and 14MHz, one small amplifier, low pass filter and a microcontroller. All of that was powered by solar pannels. 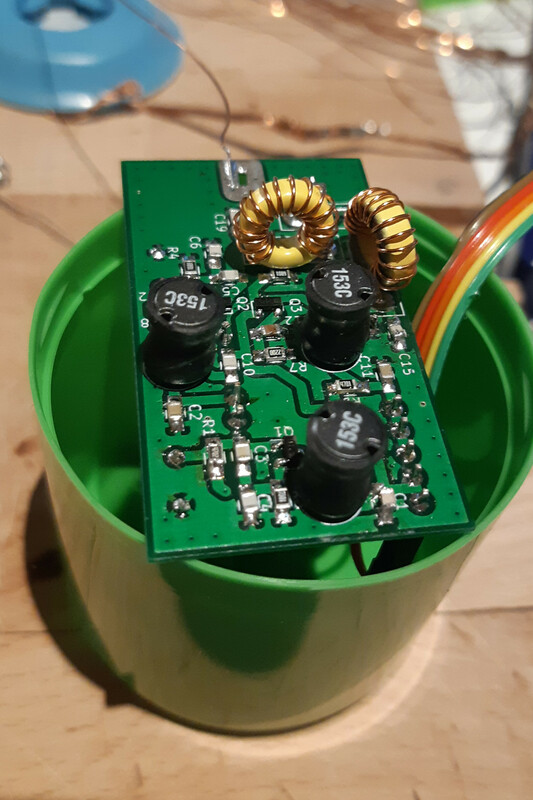 When the PCB arrived and a prototype was working, I spent most of the remaining time reducing the unwanted harmonic signals (especially those which were not inside HAM bands) to make sure that my radiosonde does not produce any interference. 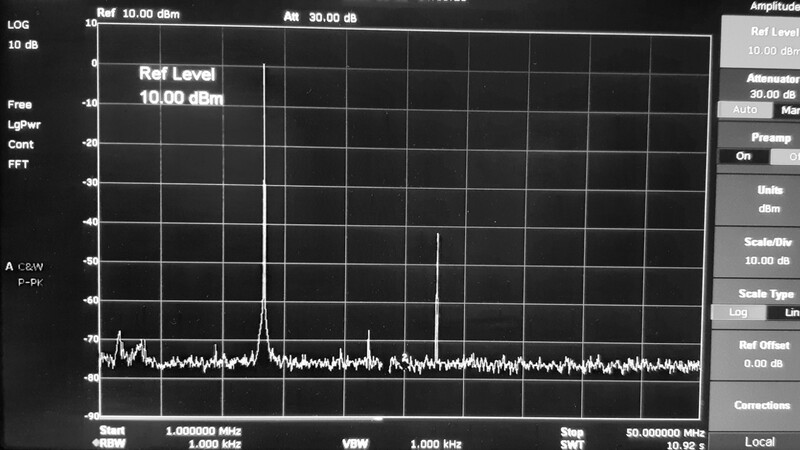 This part was successful as can be seen from the measurements (the second harmonic was reduced by 40dB at 28MHz and the third harmonic was below the noise). I finished both firmware and soldering at 10AM when some of the teams were probably at the observatory. I arrived at 12 o'clock. The official start (launch) was at 1PM. We were given some instructions, balloons with helium and we could go for launch. It was actually much more difficult than I expected due to the wind speed. I managed to break my antenna during the first attempt. Fortunately, Ondra (OK1CDJ) was very kind and lent me his soldering station, so I could fix that. I checked that everything worked and launched the balloon. I must say, it was a very stressfull launch. The radiosonde nearly hit a tree, hit a roof (unfortunately not as nearly :)) and finally gained some height. 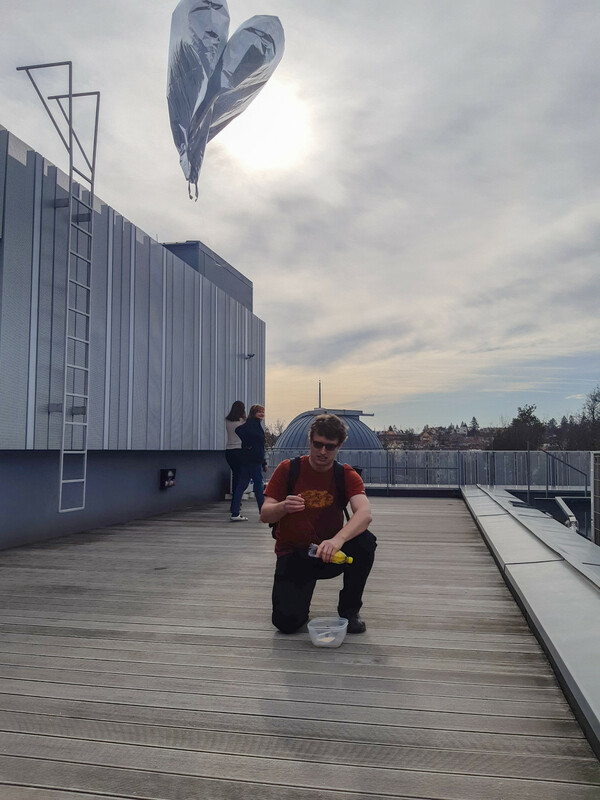 Even though the reverse beacons haven't received any signal from my radiosonde yet, I really enjoyed the event, met some very nice people, learned new things both during the development and the event itself and I have a lot of new ideas for next year. And finally, a big thank you to the organizers of this event and I hope that we will see each other next year again. I found this module in our local electronic components store. The module was called Microwave radar motion detector which attracted my attention, so I decided to buy it (£2) and to perform some tests. I only connected pins VIN (5V), GND and OUT. When the chip detects a movement, pin OUT changes its state form logic low (0V) to logic high (3.3V). I wrote a piece of code to show the state of the sensor using an LCD display and an LED diode. 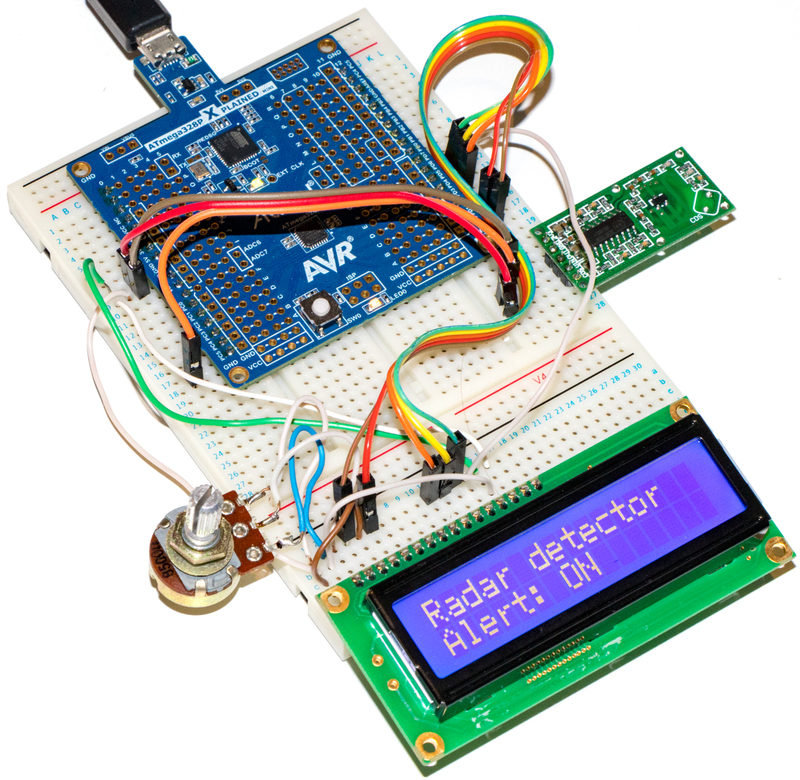 (A short video presenting the motion detection can be found here: RCWL-0516 Microwave Sensor.) I noticed that the sensor is very sensitive as when I was close enough, my breathing was modulating the frequency response of the module (due to reflections). Furthermore, I meassured the spectrum. I used a short probe at a distance of about 5 - 10 cm away from the sensor. 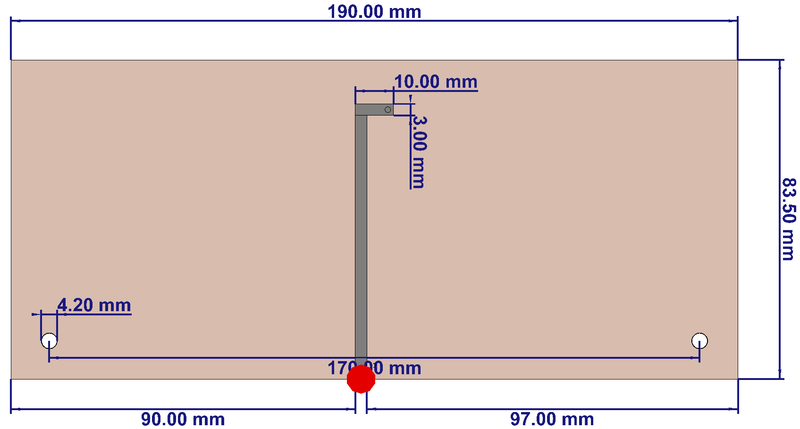 The measurements can be seen in the following figures. 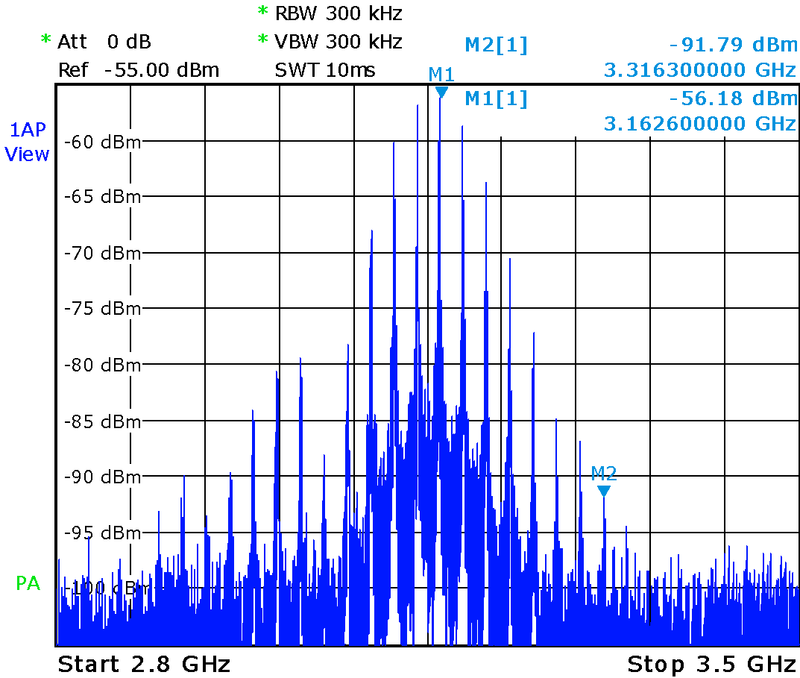 The measured spectrum (near-field) can be seen in the following figures. The first measurement was made at home, the second one was taken at the university as I am a bit limited with the frequency range in this case. I have found two nice videos explaining how such sensors work. 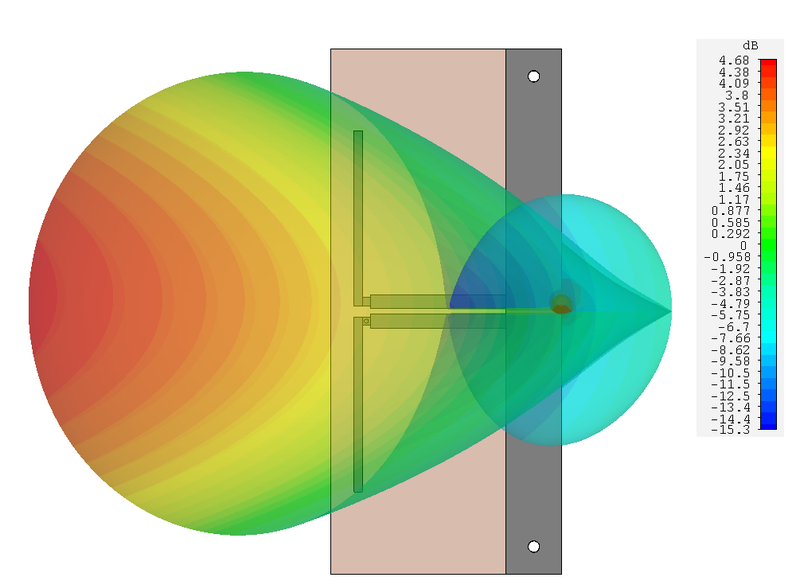 This short article deals with a dipole antenna for ISM (Industrial, Scientific and Medical) band. This band can be used for sensor networks which have been receiving great interest nowadays (IoT - Internet of Things). 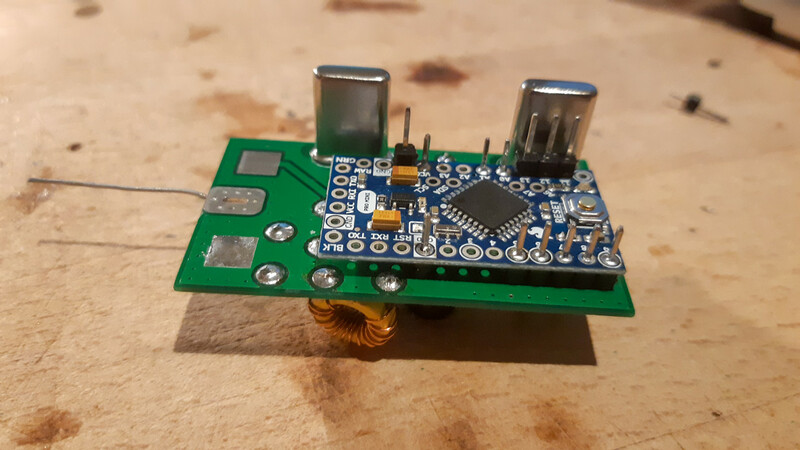 There are many applications where the sensors must have small dimensions and therefore the antennas inside such devices are highly miniaturized. 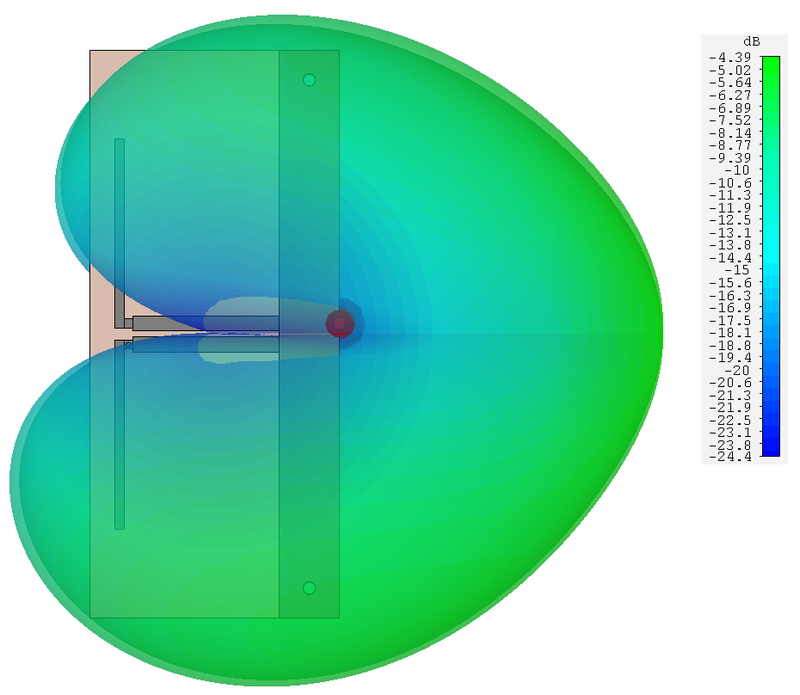 The less the space available and the more components are placed nearby the antenna, the more the radiation of the antenna is affected. This problem is probably not so critical for our home projects but it is still nice to know how your board with a temperature sensor and a small antenna performs and eventually to increase the range of the sensor by optimizing the distribution of the components etc. Therefore I made a reference dipole with an integrated balun that I can use for my tests allowing me to compare several designs. 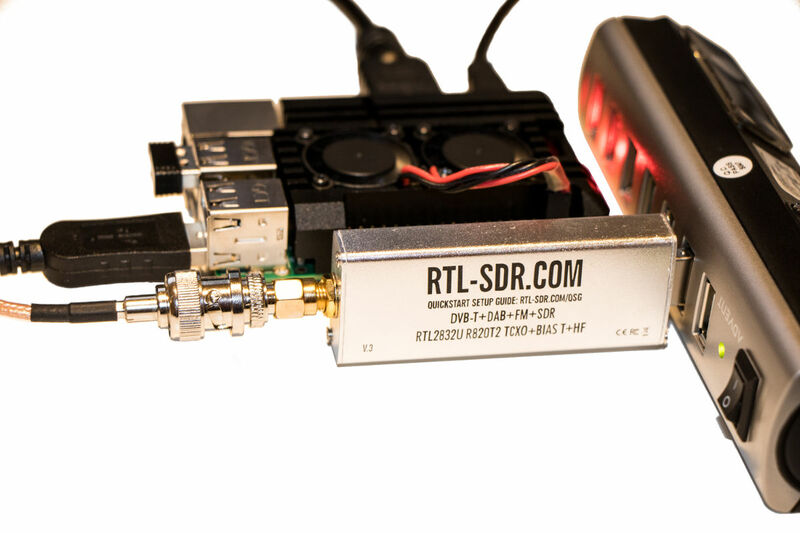 My new RTL-SDR (version no. 3) has been delivered. 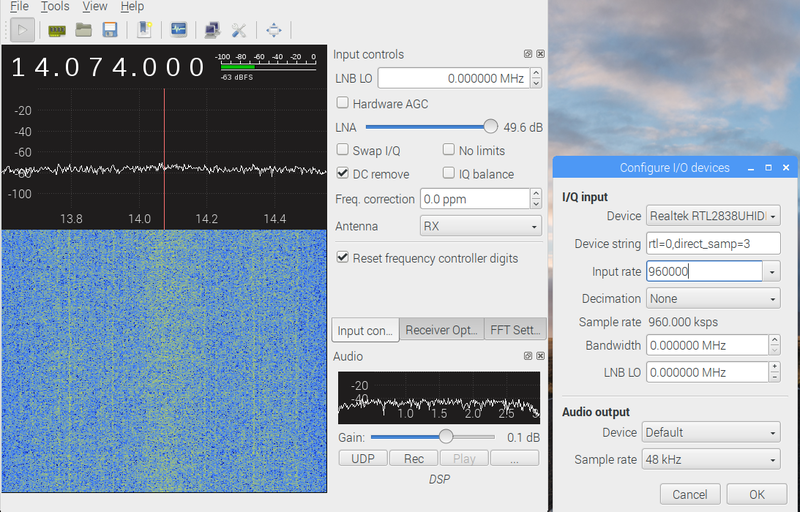 GQRX software does not allow to receive signals below 24 MHz in combination with RTL-SDR until a direct sampling mode is activated. I found a message of Thomas KC3JVH (link) that this can be done by writing direct_samp=3 into the device string in the config window (see the screenshot below), so no up-converter is required for HF reception with this particular dongle. 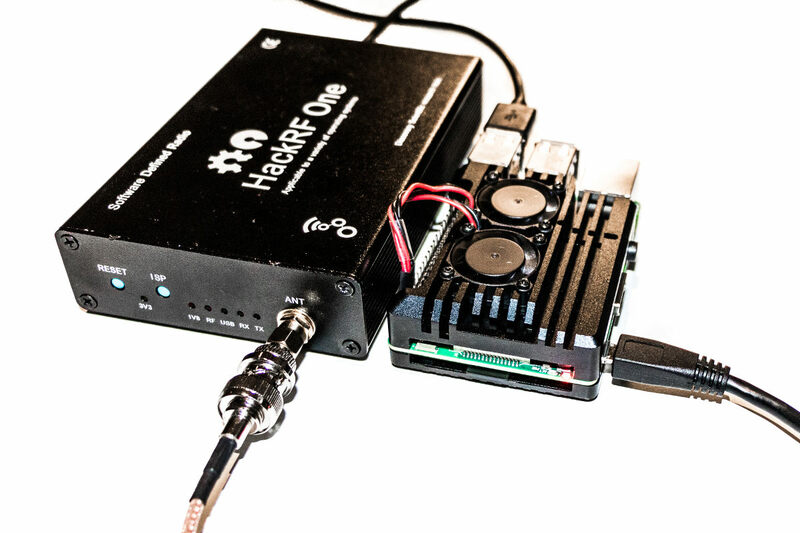 I compared RTL-SDR in the same way as HackRF with the reference transceiver TS-590SG. 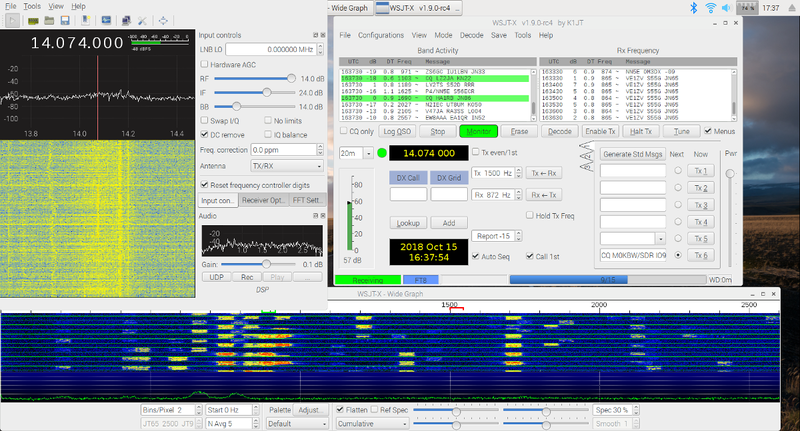 TS-590SG received 771 transmitters, 1742 reports and 56 countries in 24 hours in comparison to RTL-SDR where 728 transmitters, 1611 reports and 56 countries were decoded. I am very happy with that.